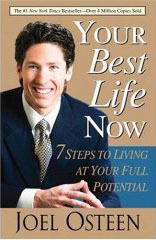 "Pastor" Joel Osteen preaches a candy coated "gospel" that turns Jesus into your personal genie and life coach. So, from time to time, we're going to ask "Pastor Osteen" ...what about those Christians who are suffering persecution and death because of their belief in the Biblical gospel. Should we assume that these people are suffering persecution needlessly since Osteen believes they should be able to experience their 'best lives now'? Today we are featuring Pastor Zaur Balaev. On May 20, 2007, Pastor Zaur Balaev was arrested for “conducting an illegal religious meeting” in his home village in Aliabad, Azerbaijan. In August, he was sentenced to two years in prison under Article 315, Part 1, for allegedly violently resisting the police during a raid. The authorities first claimed that Pastor Balaev released a dog on police, but have since claimed he attacked five policemen and damaged a car door. During the trial, some witnesses reported that police had pressured them into testifying against Pastor Balaev. We thank our Lord and Savior Jesus Christ for men like Pastor Zaur Balaev for their bravery and willingness to forego their 'best lives now' so that they can share the true Biblical gospel in countries where being a Christian guarantees persecution, suffering and even martyrdom.